CRAFTY RED: The start.... Log Cabin project! There is going to be a slight change in subject matter on my blog for a while. For over a year we have been saving to buy a log cabin for our garden. The idea is it will be a little retreat from the house when the children have friends round. Or they can go down there… well that is what I have been telling my husband! I am sure it would make a lovely sewing room! We have spent many hours on the internet doing our research. At one point we were just going round in circles. In the end we decided to go with a company called Dunster House. We went down to their showroom in Warminster to have a look and were impressed with the quality of the cabins on display. It was also at that point that we decided we should spend more money and go for a fully insulated cabin. It was a hot day and we sat in the 45mm cabin and it was really hot in there, we then sat in the fully insulated cabin and it felt comfortable to sit in. We want to be able to use the cabin throughout the year and getting the fully insulated one will allow us to do that. In order to get the garden ready for the arrival of the cabin has been a massive project. 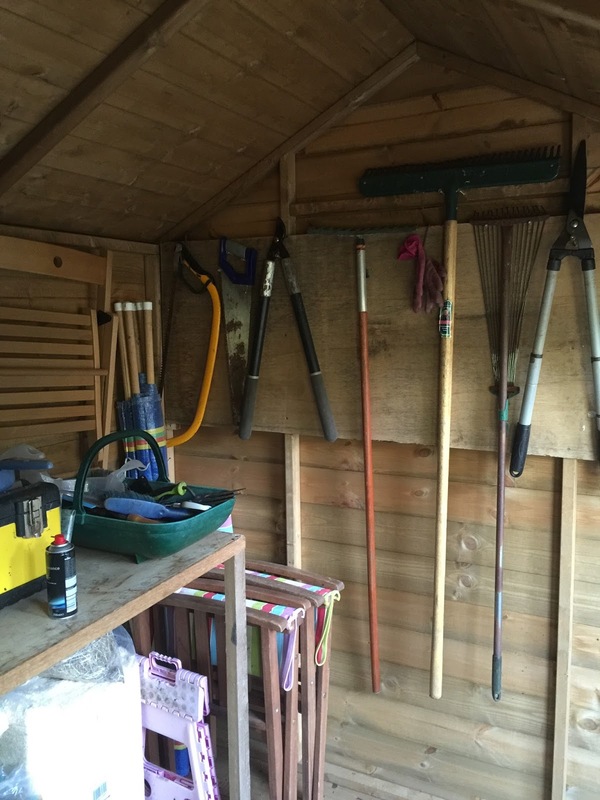 We had a shed at the end of the garden that needed replacing when we moved in 14 years ago. The cabin is going to be in front of the shed so it was decided that the shed had to be replaced before the cabin comes. That is now done! 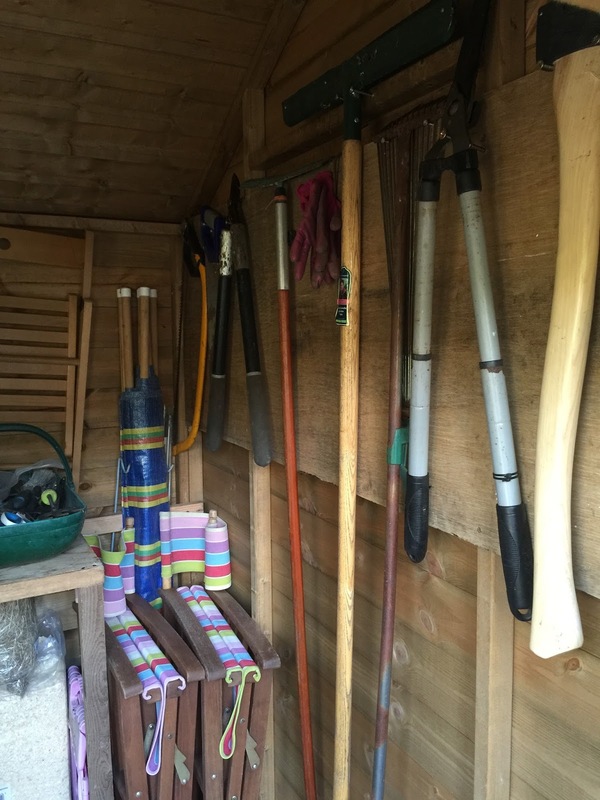 It is rather sad that I got rather excited by a new shed, the old shed was in such a state and everything in there was just piled up. The new shed is well organised and everything has its place, it even has guttering. We are going for the Premium Plus and the walls are 130mm thick, this includes the insulation gap. The cabin will be arriving on Wednesday… I can’t wait to get started. 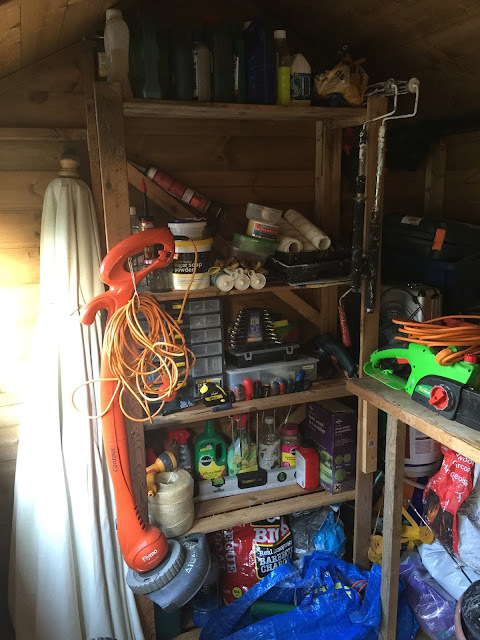 I thought I would share some photos of my new shed.